There's a quiet house in the small stream just by the field at the edge of the lake. The biggest fear of the Nac Mac Feegle: WORDS! 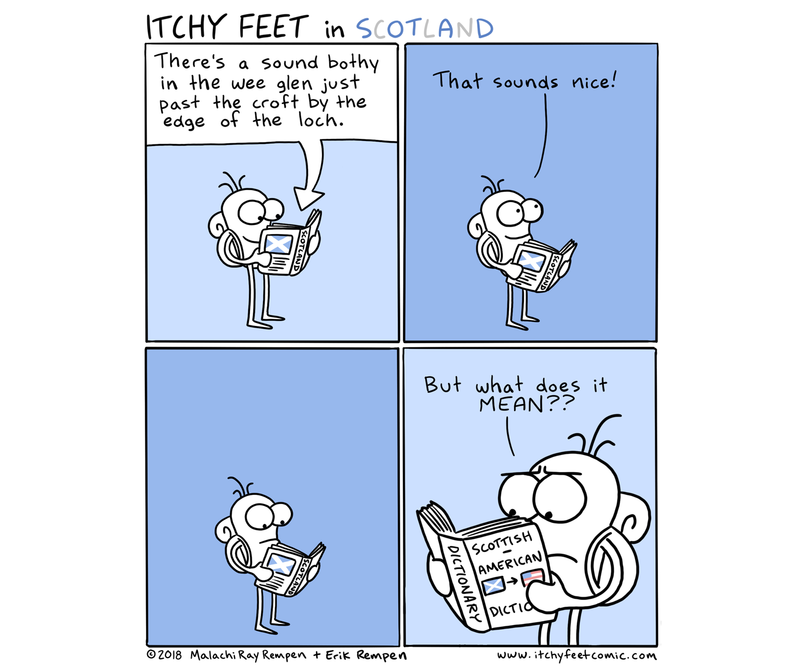 Many people consider Scots English to be it's own language, since it's far enough away from Standard English to have issues with mutual comprehension. Far enough away that there's now a Scots translation of Harry Potter, which is incredibly enjoyable to read! Well, Scots tended be different folk from Britons back in day ...assume got well along with vikings of era which might help with local language transformation.